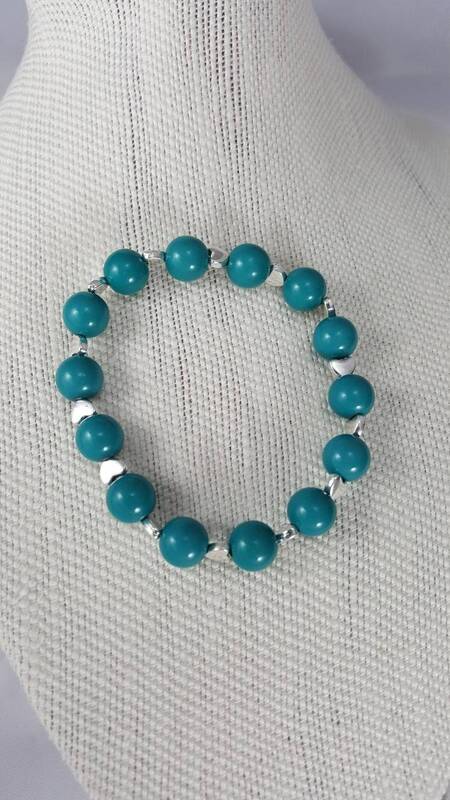 8 Turquoise beaded stretch bracelet with silver hearts. fits over wrist. 8" Turquoise beaded stretch bracelet with silver hearts. fits over wrist. 8" Turquoise beaded bracelet with silver hearts. fits over wrist for ease of putting on. great for casual wear. very pretty. Turquoise is a strengthening stone, good for exhaustion, depression, or panic attacks. It enhances physical and psychic immune systems. 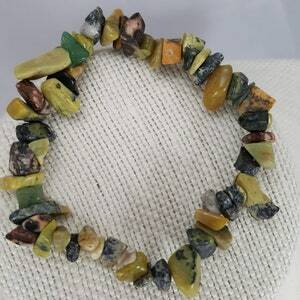 8" Multicolored ocean jasper stretch bracelet. 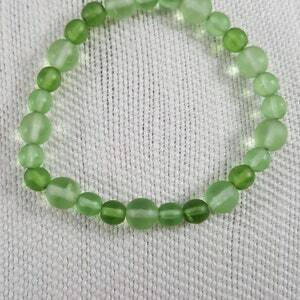 Healing bracelet. 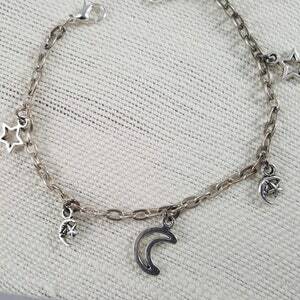 8" charm bracelet with 5 charms of the crescent moon and stars. the night sky around your wrist. 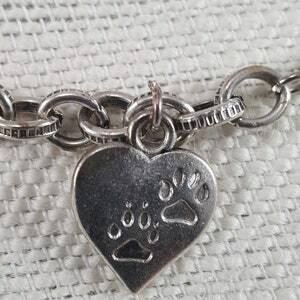 8" silver chain bracelet with silver paw print hearts charms. pet lover charms.